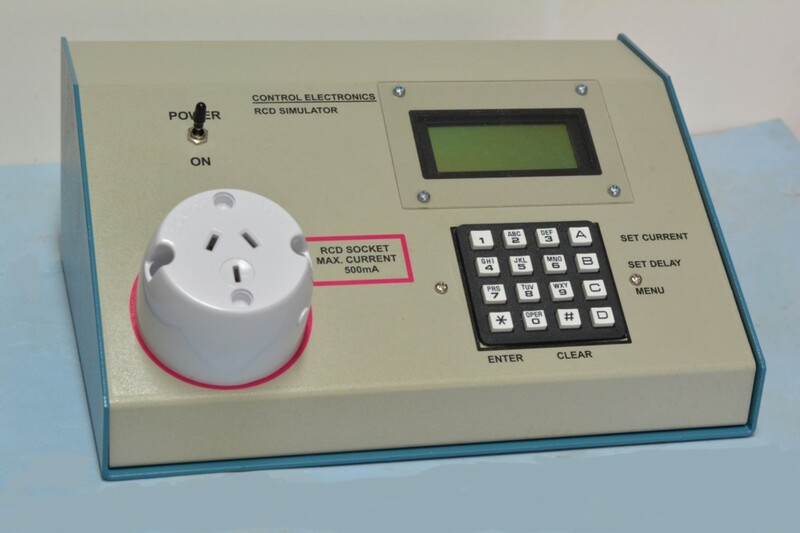 A precision instrument designed to test and calibrate RCD testers. The 2200 accurately simulates an RCD with variable trip time and measures the currrent produced by the RCD Tester. User control is by the built in keyboard and measurements are displayed on the 4 line LCD display. RCD trip times from 20ms to 1000ms can be simulated. the required trip time is quickly set on the keyboard and default settings can be stored for frequent use. Current measurement is from 1mA to 500mA true RMS. A current test delay is incorporated to prevent mistriggered results and a user settable threshold value for the test current can be set. 1 mA to 500 mA rms. Accuracy 0.1% of range + 0.1% of input.